Cold weather causes water main breaks along US 1 in Md. Broken water mains keep happening along the U.S. Route 1 corridor in Prince George’s County, Maryland, during this ongoing cold snap. WASHINGTON — The combination of old water mains and cold weather make for an ugly mess on the road. Cold weather exacerbates wear and tear and makes pipes more susceptible to failure. 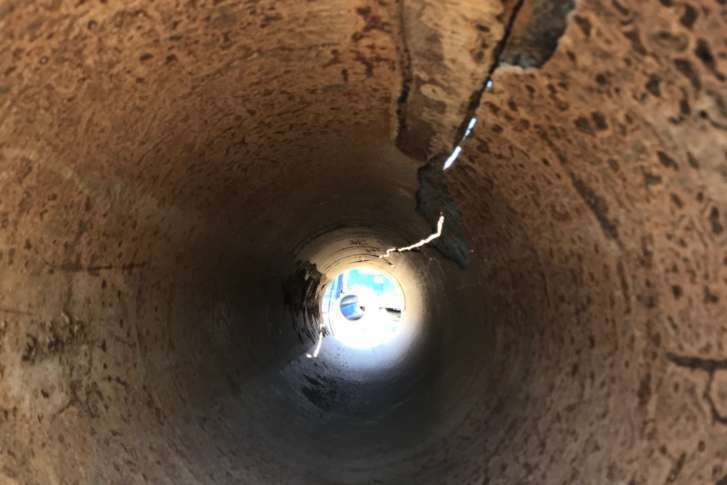 The 12-inch main that burst over the weekend is the fourth one in recent days to break along a line that follows the road underground from College Park through Hyattsville and into Mount Rainier. The older sections are where the breaks keep occurring, however. After similar problems in Silver Spring last year, WSSC undertook a major replacement project along a water line that parallels Colesville Road for several miles. Asked if something similar could be in store for the Route 1 corridor, Maya was noncommittal, noting the massive amount of coordination it would take with other state and local agencies that have jurisdiction over the highway. It would also be costly. He said it’s a discussion worth having, but only once the lines in need of immediate repair are fixed.